On March 30, 2015 I presented a session on Open Educational Resources (OER) to teachers at the Alberta Distance Learning Centre (ADLC). It was a great session, there were people from across the province, plus one participant from New Brunswick. 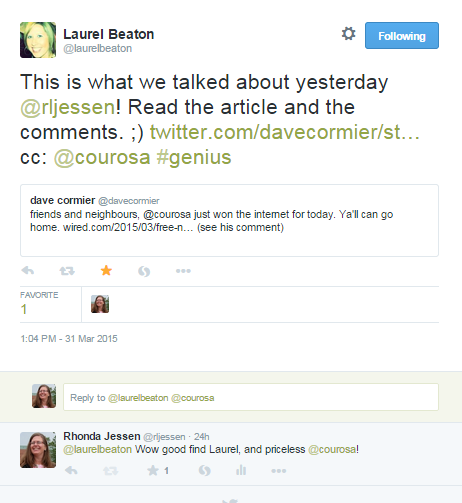 I shared a story with them about copyright, Nokia & Alec Couros. Nokia approached Alec because they respected Creative Commons licenses and they wanted to use a video that he had tagged non-commercial. 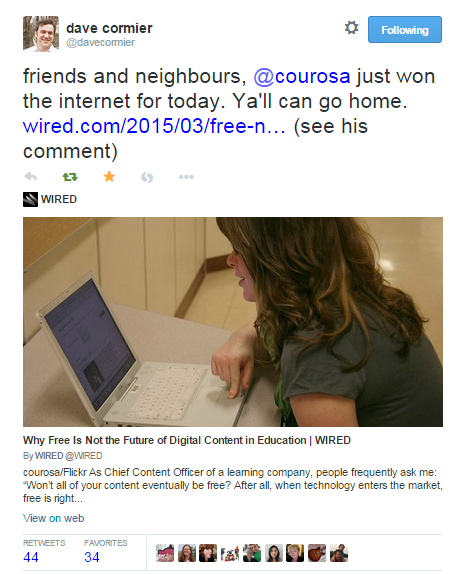 Wired had posted an opinion piece called “Why Free Is Not the Future of Digital Content in Education” which argued for more textbooks and included a photo taken by Alec Couros that was licensed non-commercial. 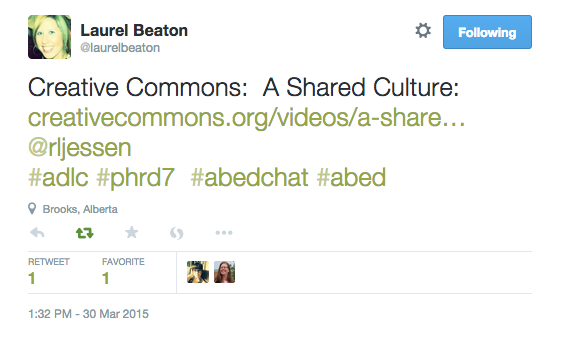 I’m surprised that Wired didn’t respect Alec’s Creative Commons license. It turns out that they have used his image several times in the past. Great response Alec. Wired I have lost some respect for your brand.